Santa Maria, Calif. - Feature film visual effects facility CafeFX, which last year created memorable characters for Pan's Labyrith, has launched its character animation division. Montréal, Canada - Di-O-Matic, a developer of character animation software, announced the release of Voice-O-Matic for Autodesk Maya and Softimage XSI. Chelmsford, Mass. 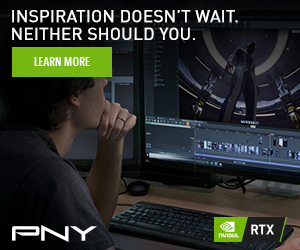 - Mercury Computer Systems Inc. announced three new offerings that provide whole power, real-time interactive and photorealistic 3D rendering and real-time 3D ray tracing. 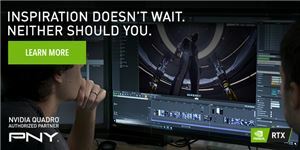 Oxford, UK - NaturalMotion Ltd., developers of euphoria and endorphin motion synthesis technologies, has unveiled morpheme 1.1, the latest version of its animation engine and tool chain. Marlborough, Mass. - Boris FX, a developer of integrated effects technology for video and film, announced that Boris Continuum Complete 5.0 for FxPlug (BCC 5.0 for FxPlug) is now shipping. Parsippany, N.J. - Following the recent introduction of its new solid state drives (SSDs), PNY Technologies Inc. has released a full lineup of DDR3 system memory modules.